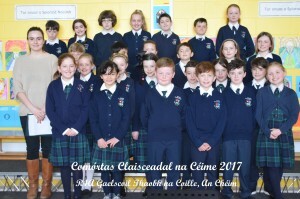 As part of our seachtain na Gaeilge events Gaelscoil Thaobh na Coille hosted a choral singing competition open to pupils of 4th class in the local schools. 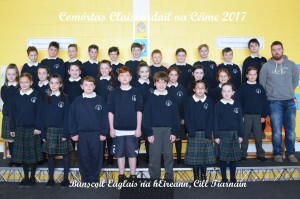 Each 4th class sang two traditional Irish songs (as Gaeilge). Each class sang as a choir and they sang unaccompanied. 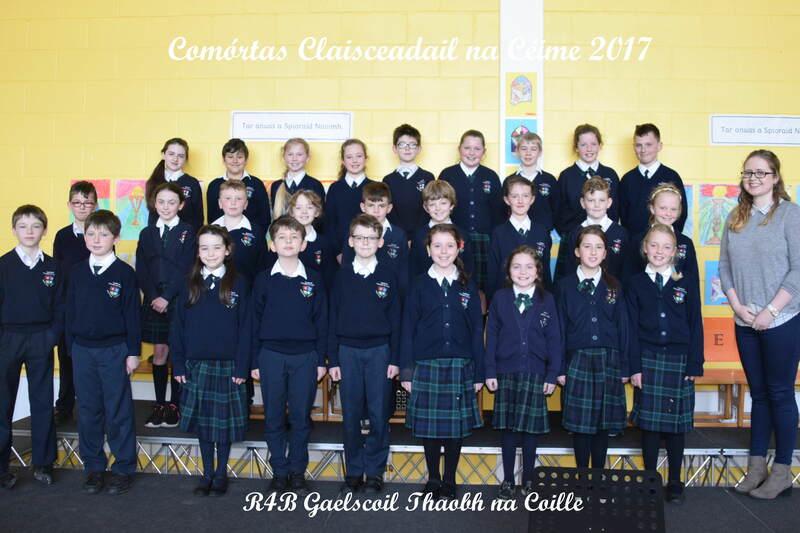 The competition took place in Gaelscoil Thaobh na Coille on Tuesday the 14th of March and a great day of music & song was had by all. The children were praised for their beautiful singing and on how well they knew the words of the songs. The songs sung on the day included some Irish songs you might remember from your own school days – songs such as: Buachaill ón Éirne, Téir Abhaile Riú, Trasna na dTonnta, Óró Sé do Bheatha Bhaile, Mo Ghile Mear & Bean Pháidín. 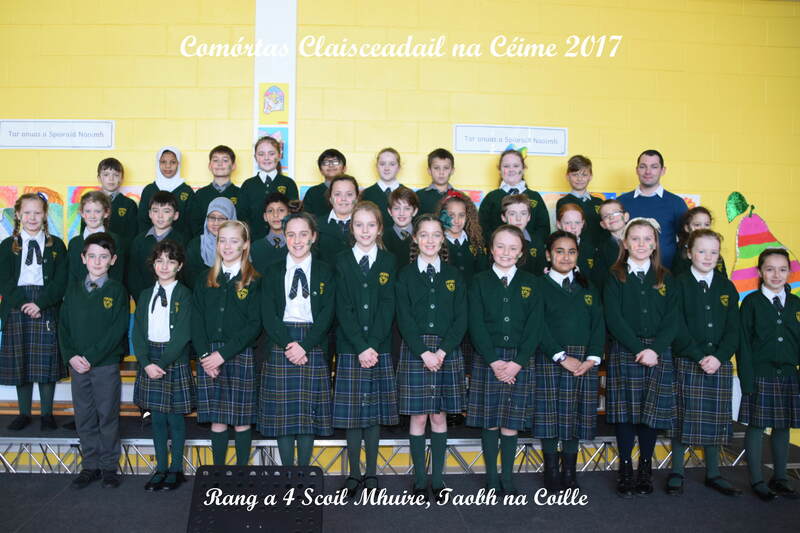 Although there was very little between the choirs, Rang 4B from Gaelscoil Thaobh na Coille were the winners. 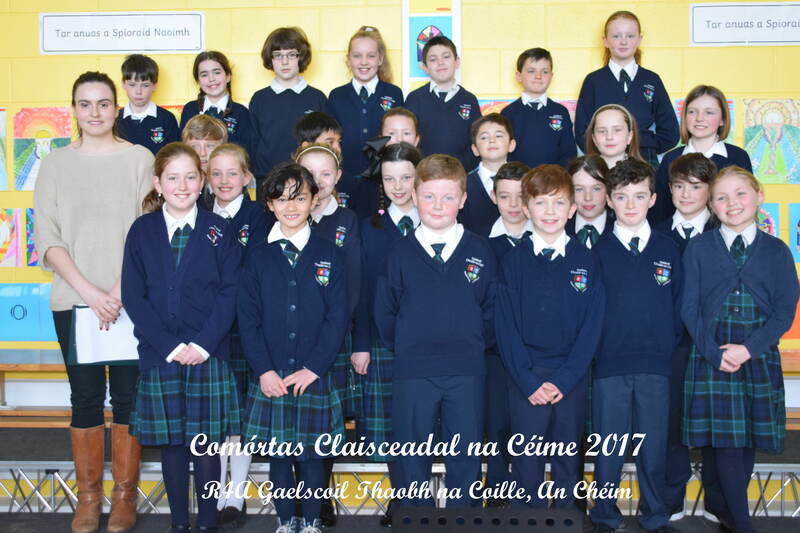 Congratulations to them and their class teacher Ciara Ní Bháille. 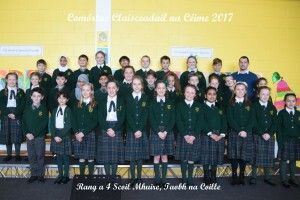 Congratulations also to the 4th class pupils from St Marys, Sandyford, Church of Ireland NS, Kilternan and R4A from Gaelscoil Thaobh na Coille – they were all great. We hope that this competition will become an annual event. 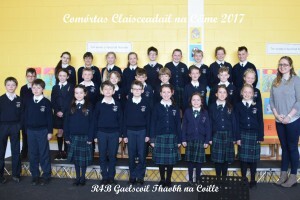 As part of our seachtain na Gaeilge events Gaelscoil Thaobh na Coille is hosting a choral singing competition for the pupils of 4th class in the local schools. 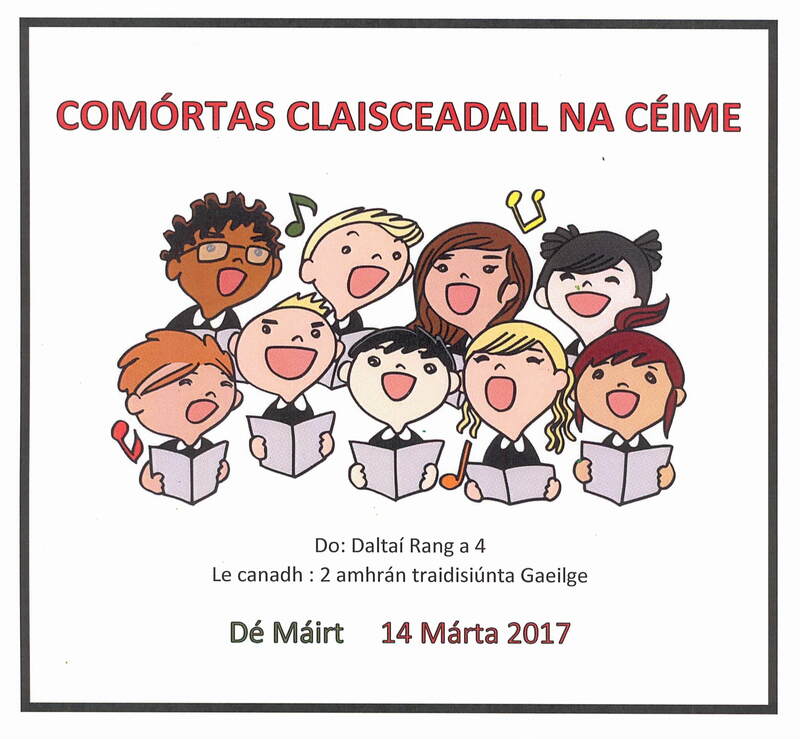 Each 4th class will sing two traditional Irish songs (as Gaeilge). Each class will be singing as a choir and they will be singing unaccompanied. 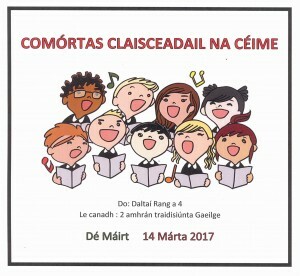 The songs that are to be sung are the old Irish songs that we know from our own school days; Báidín Fheidhlimí, Trasna na dTonnta, Óró Sé do Bheatha Bhaile, Beidh Aonach Amárach etc. 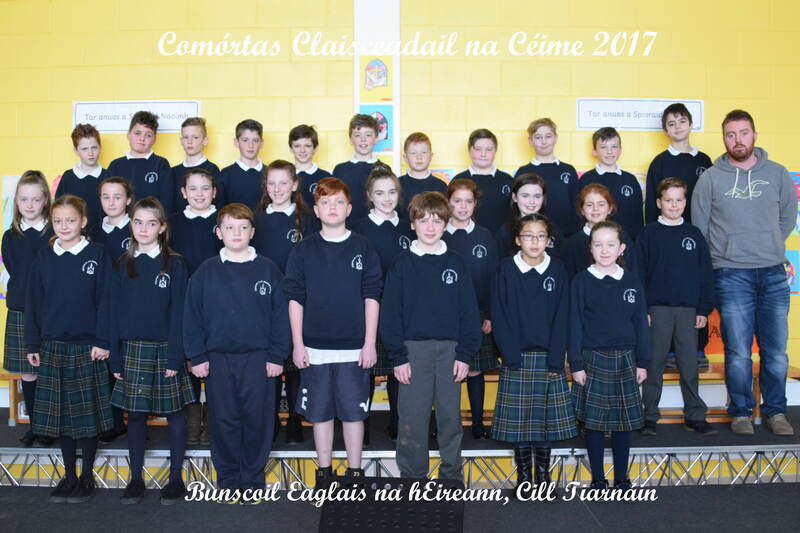 The competition will take place in Gaelscoil Thaobh na Coille on Tuesday the 14th of March and 5 local schools have already signed up to participate. We are hoping that this competition will become an annual event.